Discussion in 'Electric Instruments' started by Tonart, Jan 21, 2018. The contrast, the width, the definition, the consistency, and the way it curls and curves as it fans out to the sides. Amazing! 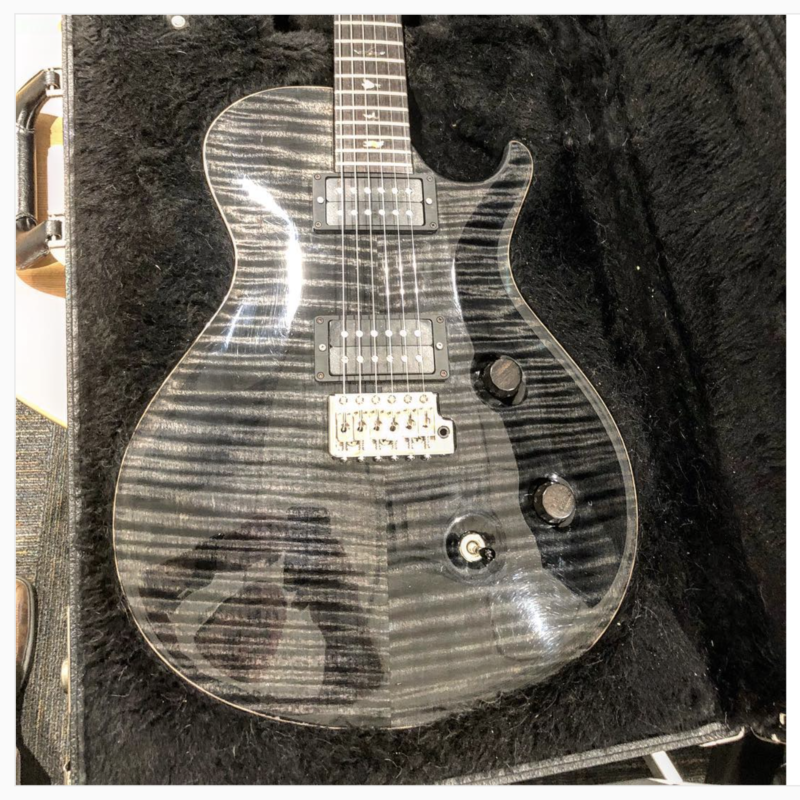 Anyone who has access to this guitar: DIBS DIBS DIBS DIBS DIBS!!! 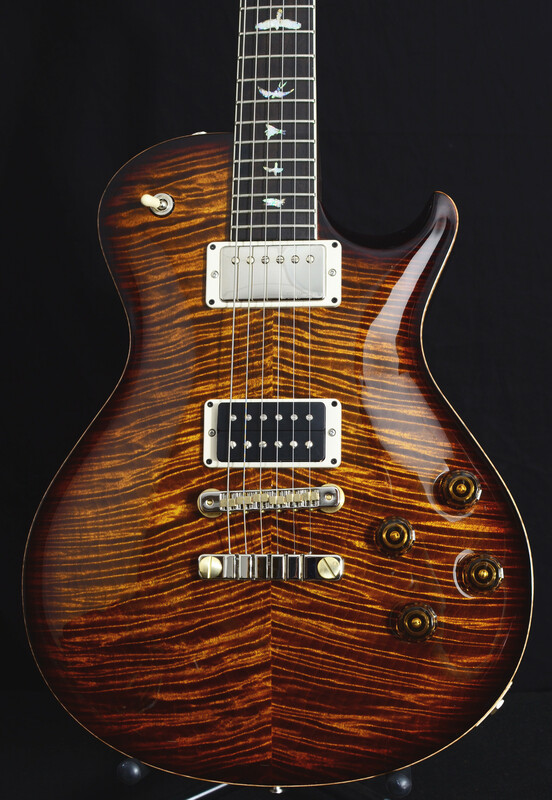 Photo courtesy of the PRS Collection 2014 webpage. 11top, TwelfthTangent, ArnaudS1979 and 2 others like this. My favourite 'ever' would be 9 0697. I've only seen it in pictures (BOTB, page 62/63) but I love how it's clearly been used and abused over the years. It's #6 on my 2018 guitar shopping list after Eldon's gold Strat. 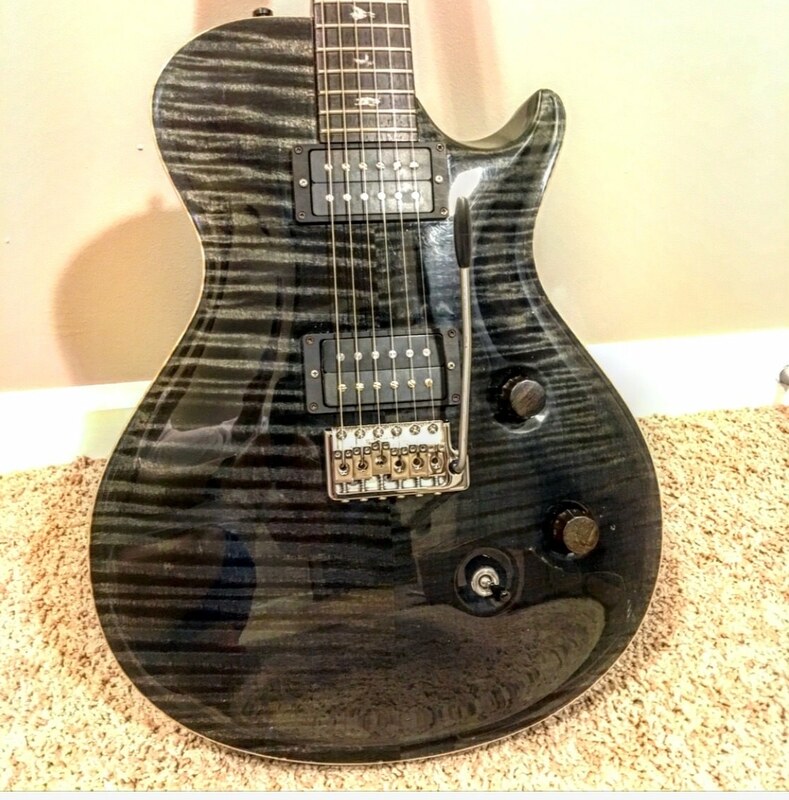 PRS-wise I used to own this one, which is an '88 Sig. I think it looks great in this picture. I know where it is and would like it back. rnodern, bluenova, flux and 10 others like this. Nice! Very Les Paulish top! ScottR, Collywobbles, g.wizz and 4 others like this. I think the Ladkor PS was pretty special! bluenova, Collywobbles and Tonart like this. I like this one, but I’m biased since I get to play it everyday. TwelfthTangent, DreamTheaterRules, flux and 11 others like this. Great Top,can't think of a better one! ScottR, Collywobbles and Tonart like this. Ladies and Gentlemen, we will be at DEFCON 1, 11top approaching! Collywobbles and Tonart like this. flux, ScottR, Collywobbles and 1 other person like this. flux, ScottR, WA Paul and 6 others like this. Yup I saw that amazing top. Here’s something similar. Technically this one is a burl top, but ‘flamed’ in an extreme angle. Kinda like an all-in-one. TwelfthTangent, ArnaudS1979, flux and 11 others like this. Collywobbles, Tonart and Glide-bpm like this. I have to say, finding that perfect flame is very rare. Finding it coincident with other general specs you want - impossible! Even if you build a PS from scratch and choose a perfect looking slab, it will change by the time they carve it down. I’ve found flame thats close to perfect, only for there to be 2 f-holes in it. This is the one I aspire to. Perfect. Tramp, flux, Elliot and 6 others like this. I’ve seen this one before. Brilliant. ‘Paul’s special top’. And you may not believe it, but I had a hunch someone might post this very guitar. Double like! Sam and Collywobbles like this. Bumpy Dog and Tonart like this.